Rich with history, culture and charm, Central Vermont has everything for the history buff, nature lover, or ski bum, in all of us. 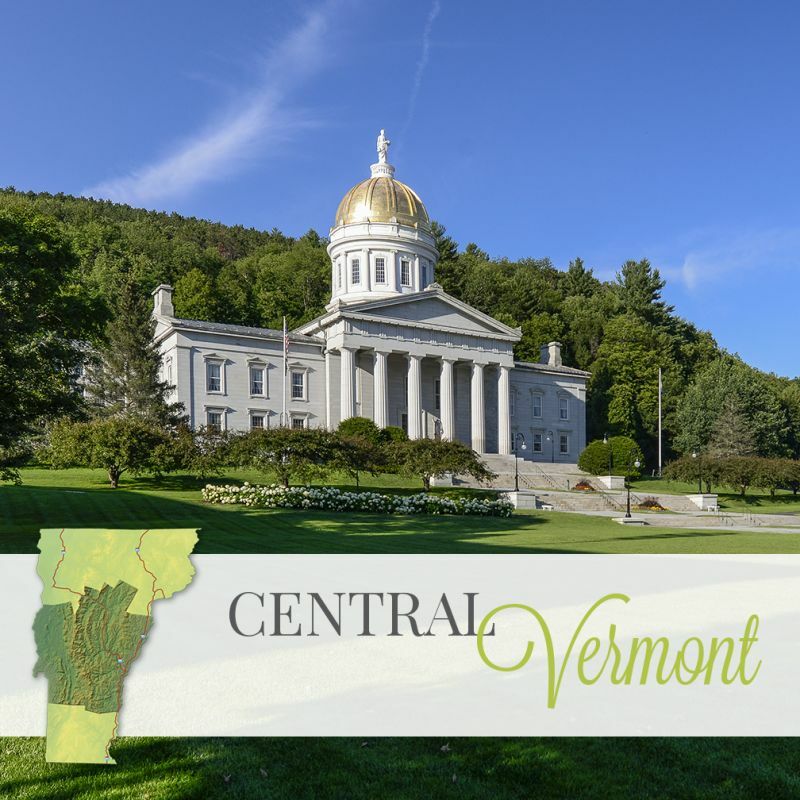 Welcome your guests to the heart of Vermont with a wedding in the capital city of Montpelier. With over 250 years of history to explore, numerous museums and historical sites, the possibilities are endless. The city’s walkable downtown provides all shopping and dining needs with a little bit of the town’s local flair. Looking for something a bit more rural? Addison County in Central Vermont contains some of the best landscapes from the Lake Champlain shore, to the rolling Green Mountain foothills. You are sure to be swept away by the beauty and charm of the lake views, gardens, bridges and Addison County’s classic country elegance. The Mad River Valley of Central Vermont is a skier’s paradise. Spend your big day by the slopes at the area’s famous ski resorts, Mad River Glen and Sugarbush Resort. In the warmer seasons, the mountains become the perfect spot for hiking, biking, golf, and soaking up the stunning views. Summer also brings in the Vermont Art Festival every August where you can enjoy a variety of performances, art exhibits and local vendors. On Saturday spend time at the nearby Waitsfield Farmers’ Market, perfect for exploring the flavor of Vermont and celebrating the state’s homegrown pride. The “Valley” is unique in its outdoor and arts driven environment. There are many places and hidden gems for you to discover while planning your special day. The Killington region is another can’t-miss Central Vermont destination. After all, it is where VermontWeddings.com’s very own Lorin met her husband, Tom! 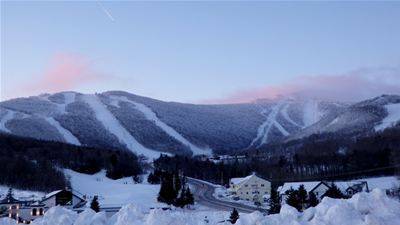 Most notably it is home to The Beast of the East, Killington Resort’s six incredible peaks. With the longest on-snow season of any Eastern ski resort, Killington skiing can’t be beat. However, the fun doesn’t end when the snow stops falling or the lifts close. With plenty of hiking, biking, golfing, and its unbeatable nightlife, Killington is truly a four season must-see.